The sun-drenched Canary Islands lie close to North Africa and have an exotic flavour of their own. 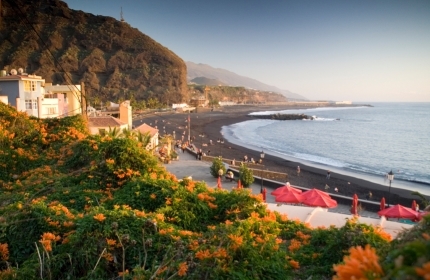 The northern region on the island of Tenerife is a hiker’s paradise with its temperate climate and abundant vegetation. The vast region enables hikers to experience a diverse landscape including a forest of fragrant laurel trees, deserts with bizarre basalt formations, exuberant vegetation and colourful volcanic slopes. Beyond the crowded beaches of the Canary Island of Tenerife there is a vast hinterland with a great variety of landscapes. There is an opportunity to discover the black lava fields, exotic flora and deep gorges that surround El Teide, the king of all Spanish peaks. For those who thought of the Canary Islands as a beach escape, this trip will change your mind forever!